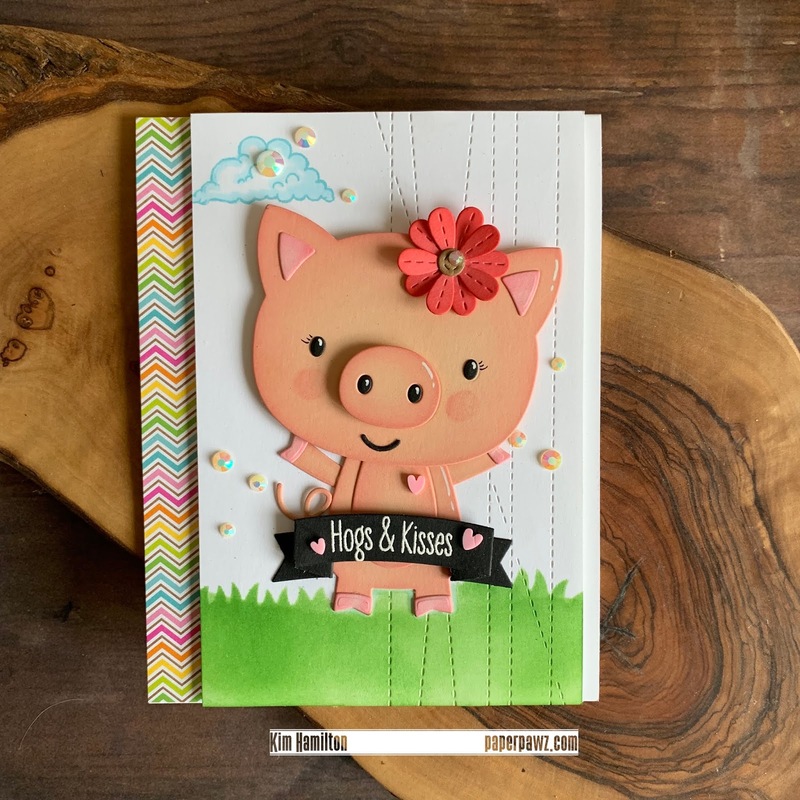 Paper Pawz: MFT sweet Little Piggy! Happy Monday crafty friends! 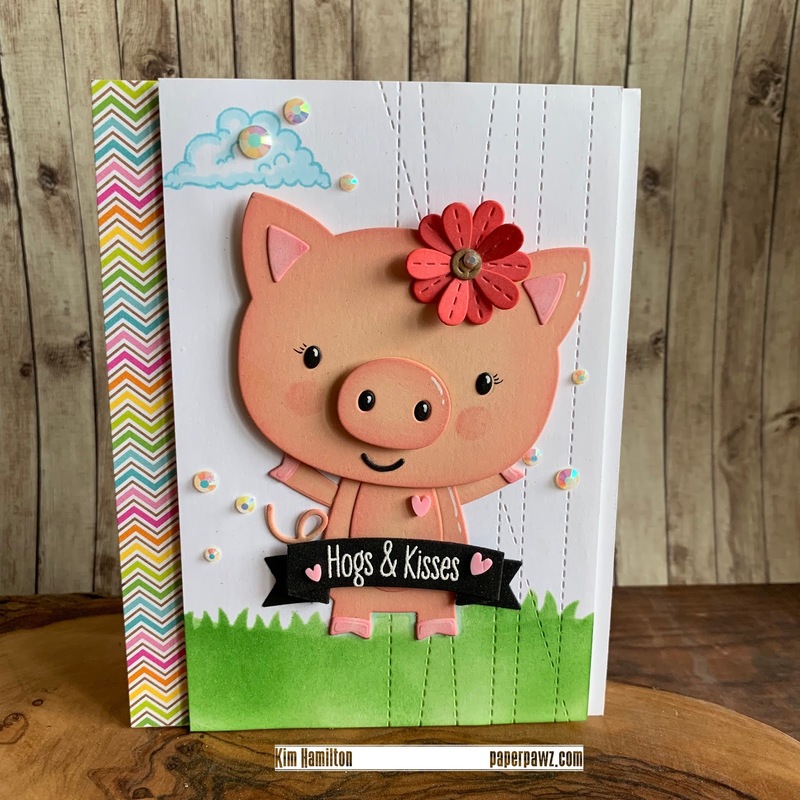 Have you seen the latest MFT release? It is so sweet! I had fun playing with the Little Piggy die-namics over the weekend. I have always wanted a pet pig and one of these days it will become a reality, but for now I was temporarily mollified but this cutie! 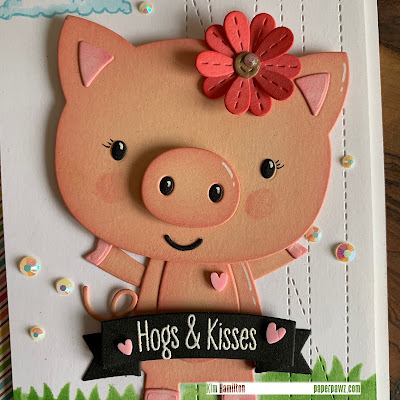 I started by die cutting my piggy from Lawn Fawn Apricot cardstock and ink-blended some pink ink around all the edges. I also used pink cardstock for the ears and hand and feet cappers and guava cardstock for the flower on her head. I then added my grassy edges stencil with Mowed Lawn Distress Ink and decided to add the Die-namics Stitched Stripe for added texture to the edge of the panel. 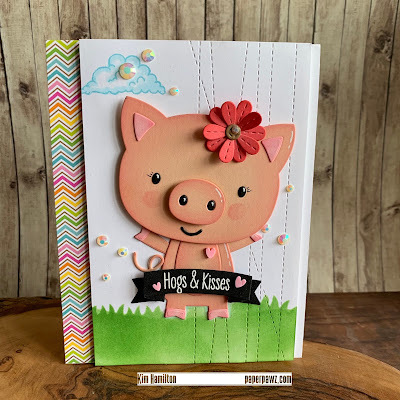 I cut it down and chose some Doodlebug pattern paper for fun, who doesn't love a rainbow! I put all of my elements together and added a sentiment and a cloud from the new Stacy Yacula MFT stamps set. To finish off, I added some Pretty Pink Posh Ivory Jewels and some candy hearts! Thanks for taking the time! All products listed and linked below, affiliate links used at no xtra cost to you! Have a great week! Oh my word your card is absolutely adorable Kim!! Simon Says Stamp Blossoms and Butterflies! Simon Says: No Designer Paper!